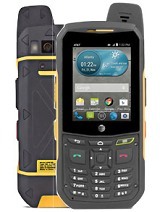 The LM801 seems to have many of the rugged features of the Sonim phones plus a compass, altimeter, pressure barometer, torch and laser pointer among others. Is there anyone in the GSM Arena community that owns or has used this phone? this phone unti fire also? gsmarena please feature sonim xp3 here asap!!!!!!!!!!!!!!! How is the battery life of Sonim XP1?? Users please share.. I've had the XP1 and I loooooooove it! I sail all the time and my phone has survived accidentally falling into the water with me. This phone is *really* hardy. 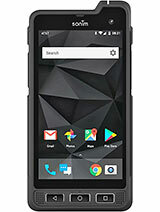 The vids on toughestphone.com seem unbelievable, but I know my phone would survive it. When my 3 year guarantee is up I'm totally getting another Sonim. I like Sonim!! I'm so interested in the new XP3. I'd like to know more about the specifications of the phone.. I bet it will be really amazing with an IP57 rating and more shock toughness.. Anonymous, 08 Oct 2008Sorry I forgot the link http://www.gearlog.com/2008/10/worlds_toughest_phone_sonim_xp.phphi! i have just received my sonim xp1 black 2days ago! a friend of mine brough it from sweden! but i read 'made in china' printed on the box,on the charger,on the battery and on the phone??? ?.No problem so far of course! but i just dont understand this! somebody help!!!!!!!!!!! Check this baby out. The SONIM XP3 it truly is the toughest phone now with these specs. I've had one for a few months, it really is a tough phone, even passed the pint of beer test and was still ringing. However the interface is poor, texting is as tough as the phone, plus if someone sends you a long (two message) text it deletes both of them without you being able to read it.